DPG (http://DrunkenProGamers.blogspot.com) is ONS Gaming, we are currently working on moving, once we get set up DPG will fuse with this site and become a Mega Gaming Blog/Site. We are trying to set ourselves up for success and look forward to continuing support from our small dedicated DPG fans and hope to garner new support and fans! Looking ahead we will bring forth more segments, and bring on yearly week long events, among other goodies. 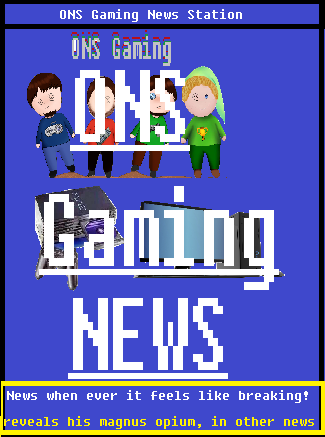 2014 Update- ONS Gaming has flourished well; thank everyone who continued to follow us from the early days!